Although it's no secret that Apple is trying to find alternatives for Samsung's displays, it's the first time the information is somewhat confirmed by a prestigious publication. Bloomberg reports that Apple has already started to design and produce its own displays for the first time, using a “secret” manufacturing plant that's been built close to its HQ in California. Apparently, Apple made huge leaps towards the development and manufacture of next-generation MicroLED screens, a technology superior to OLED, but much more expensive to use in displays. Apple started investing in MicroLED technology back in 2014 when it acquired LuxVue Technology, a start-up that is seen as a pioneer of MicroLED. Initially, it was presumed that Apple will introduce the first MicroLED screens into the Apple Watch, but that has yet to happen. Even so, the first mass-market products that will include MicroLED screens will not be ready this year and perhaps not even the next. Since the MicroLED displays are more difficult to produce than OLEDs, Apple has even taken into consideration killing the project altogether last year. However, Apple's engineers made a breakthrough that saved all the work they have previously put into developing the MicroLED screens. It looks like they are now making steady progress towards turning it into a mass-market technology. Try actually reading the article. Everything you said is literally in the article. Your jus quoting what the author already said. Smh. When Apple finds out a away to mass produce micro LED panels (not gonna be an easy task) for their phones, Samsung and other big display manufacturers will be in deep trouble. BTW micro LED is way advanced and high quality than AMOLED. That's not the point. The point is that Samsung would lose Apple as its customer. They already lost it. As Apple is investing in LG made P-OLED. I think that Apple would like to keep multiple source between LG and Samsung. For example LG would do the OLEDs for regular iPhone or iPhone Plus models while Samsung for future versions of iPhone X or iPhone X Plus. So I don't think that Samsung would lose so much business to LG. Samsung will for sure offer the highest quality OLEDS. I am not so sure whether LG can achieve Samsung's level of quality (just look at Pixel 2 XL). If Apple switches to self designed and made Micro LED displays, Samsung would lose a very big customer and a lot of profits. But there was an article on PA in which it said that Apple & Google both are want to take down Samsung display which is why they are already heavily investing in P OLEDs. And I feel like Google is already in mood to take down AMOLED (Pixel 2 XL)and they are influencing other brands too by doing this (Nokia 8 Sirocco). If ever Apple finds out a way to mass produce micro LED than other display manufacturers wouldn't get in trouble as the micro LED aren't easy to produce so if ever they produce it they will only keep them for their next generation iPhone's and will not sell them any day. Btw you are so much obsessed with Samsung that you don't leave them in your single comment. Same tune you've been singing for years. When Apple does such and such Samsung is doomed. Not gonna happen anymore than Samsung dominating Apple in displays the past few years doomed them. Do really think LG and Samsung have not and already poured millions in R&D into this as their next phase of their display tech? They have been at this game longer than Apple and have not just the know how but the capacity of scale. And even if they didn't do R&D into MicroLeds do you think they are standing still improving OLED? They could bring out new OLED panels that Make MircoLed a moot tech. We just can't rule them out. Why would they be in deep trouble? While Samsung was using vastly superior Amoled displays, Apple was still using LCDs. That has been going on for years, and it still is in 2018, as the Iphone 8 and Iphone 8+ is still using the outdated LCD technology. 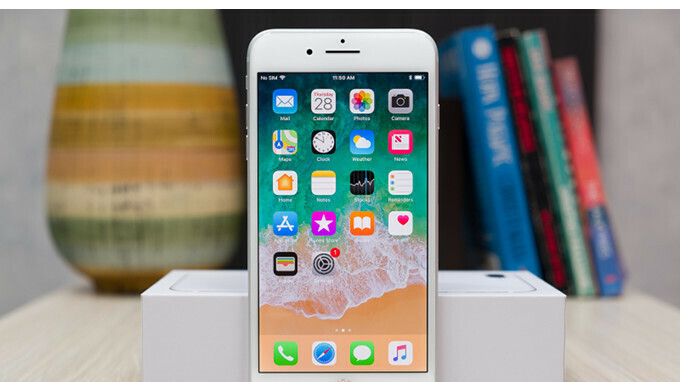 The Iphone X was the first iphone with an oled display and unsurprisingly every iphone user was shocked by the sudden increase in display quality, as they were used to LCD. Amoled displays these days have hit a serious point of deminishing returns, and even if Microoled proves to be better, the improvement is hardly going to be noticeable, as Amoled these days are already fantastic. Additionally, Samsung is working on their own Microled technology. Samsung actually showed off a 147 inch Microled display at a convention not too long ago, so they're definitely having some success with it. Samsung is already working on it themselves, and if that doesn't go well for some reason, then they have market leading Oled panels to fall back on. Samsung is going to be just fine. BIG TROUBLE? loooooooool You are delirious. Samsung and every other company excel at waiting for the next big thing then making it there own and even improving it. Reminds me of Edison not Tesla[ whom did way less but everybody seems a fanboi of] Sign of the times ..So many clueless people. MicroLEDs, in theory, have all the advantages of OLEDs, without the inherent disadvantages of OLEDs; they don’t suffer the same uneven pixel ware and display quality sub-pixel degredation overtime. Due to their inorganic nature. If you ramp up a traditional Samsung AMOLED display on high brightness, after a year of heavy usage, you get bad color degradation (Reds and especially Blues die out quicker than Greens) - which leads slightly decreased brightness, and murky warm white colors, and other discoloration. You can largely preserve the quality of a traditional top-shelf OLED panel after a year if you’re very frugal and conscious about how you use your display; monitor the content being displayed and carefully control the brightness settings at all time. But most tech consumers don’t consider these factors or even know that they exist when using their devices. That’s been the one thing I’ve never liked about OLEDs, they’ve made them more efficient over the years. But everything I’ve outlined are just inherent and intrinsic problems the underlining technology will always face. At least LCDs will maintain their quality consistency for many years. OLEDs are just a nice investment fresh out of the box. But burn in and display quality degredation will always plague that technology. mLEDs are especially a necessary step forward in mobile display technology evolution. That's pretty exaggerated and hyperbolic. They've compensated for the blue issue by being the size of the different colored subpixels. Phone displays don't really need to last for "years and years." They're generally only used for about 2 years. Even so, even after the years, the display on my S3 showed minimal degradation when I finally retired it, and that was several generations behind today's AMOLED. Looking forward to MicroLED displays. Better is always appreciated. It takes a lot longer than just a single year for there to be any significant or noticeable degradation of the subpixels in modern Amoled displays. Please read up on it before making this exaggerated statements. You should be a lot more worried about your Li-ion battery not lasting, as seen by a recent battery scandal, than you should be with your Amoled display. Interesting...This would be a nice step in the direction for televisions as well. Samsung displayed a 146-inch monster. Would love to see more these come soon. Like so many things, it's not making the panels to have excellent brightness, contrast, low power consumption, longevity, amazing resolution, color accuracy etc...it's doing to to a scale, speed and level of quality that Apple demands whilst still being profitable that is the issue. The design engineers have largely done their job, now it's the production and manufacturing engineers that need to work their magic.